Asus Zenfone 3 packs a 5.5-inch Full HD display with 1920×1080 pixel resolution protected with a coating of Corning Gorilla Glass on top. The handset runs on Android 6.0 marshmallow operating system and is powered by an octa-core Qualcomm Snapdragon 625 processor clocked at 2GHz. Asus at its Zenvolution event unveiled new smartphones under its Zenfone 3 series. The company announced Zenfone 3 and Zenfone 3 Ultra. The Asus Zenfone 3 is priced at $249 and will come in Shimmer Gold, Aqua Blue, Sapphire Black and Moonlight White colour options. Whereas the Asus Zenfone 3 Ultra comes with a price tag of $ 479 and will be available in gray, silver and gold colours. 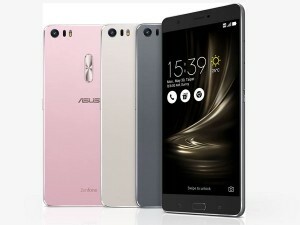 On the specifications front, the Asus Zenfone 3 packs a 5.5-inch Full HD display with 1920×1080 pixel resolution protected with a coating of Corning Gorilla Glass on top. The handset runs on Android 6.0 marshmallow operating system and is powered by an octa-core Qualcomm Snapdragon 625 processor clocked at 2GHz. It offers 3GB/4GB of RAM and 64GB of internal storage which can be further expanded via microSD card. On the other hand, the Asus Zenfone 3 Ultra has a 6.8-inch full HD display and runs on Android 6.0 Marshmallow operating system. Powering the handset is an octa-core Qualcomm Snapdragon 652 processor paired with 4GB of RAM and 64GB/12GB of ROM. The handset flaunts a 23MP rear camera with LED flash and an 8MP front camera for selfies.